For example, it doesn’t mean the quality of blue color easily changed if Japanese Sake is used as one ingredient instead of Fusuma (bran). We use just usual materials to us: eat, drink, touch in daily. ISSO considers that this kind of daily confidence to the materials psychologically influence to dyers’ motivation and the quality of products could be better. ISSO uses Awa Ai as a main ingredient for our dye liquid. 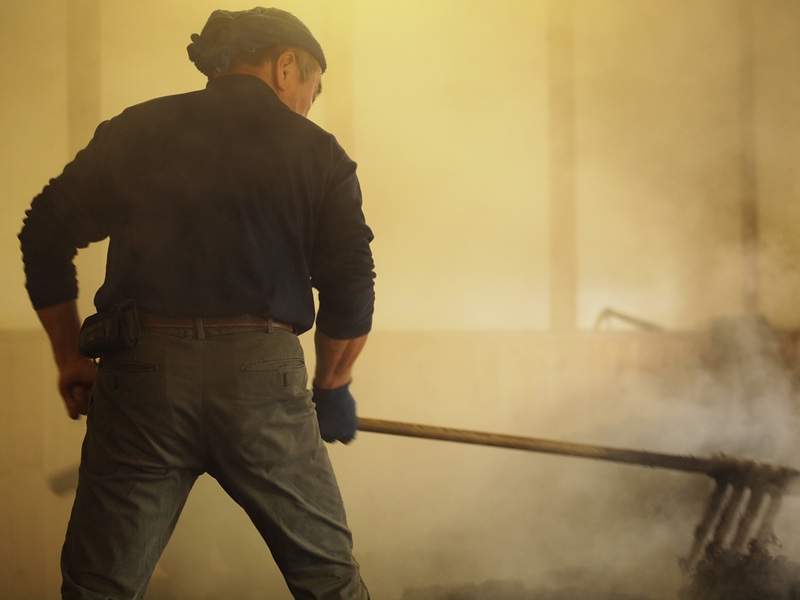 It’s provided by one professional Sukumo producer Mr. Osamu Nii (generally, the professionals are called “Ai-shi” and only five Ai-shi act now in Tokushima) who is in Kami-Ita and makes rare natural blue dyes “Awa Ai” in the traditional way. ISSO has a stock of lye of trees that is necessary to make Aku. TOKUSHIMA COFFEE WORKS, a leading coffee shop in Tokushima, bakes pizzas at their shop and lye of trees appears after the baking. 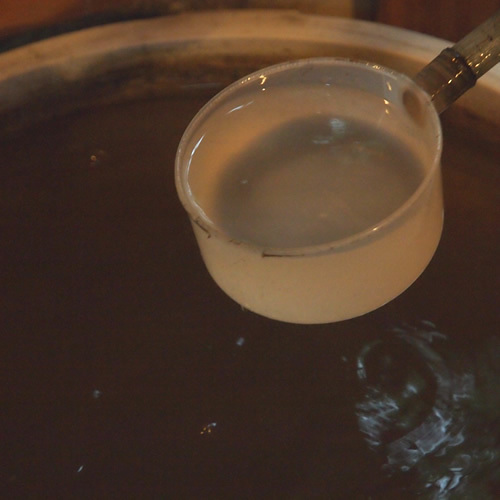 We mix the lye and hot water, and use the clear liquid on top of the mixture to make the dye liquid. Even though trees become ashes, they give power to the new produced items. 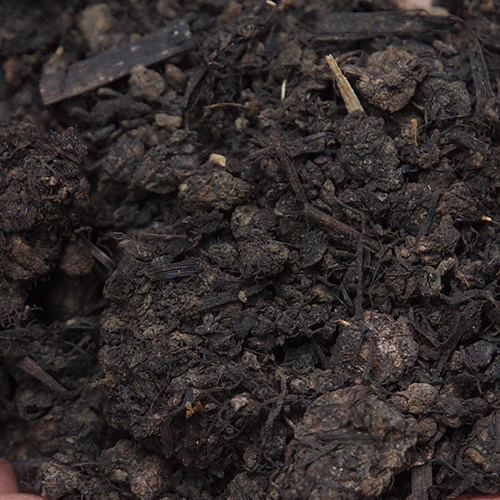 In order to make indigo color, it is necessary to use nutrient sources such as Japanese Sake or Fusuma (bran) to activate the reductase of Sukumo. 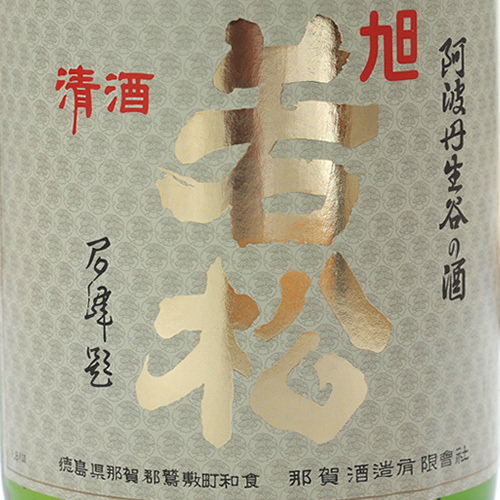 ISSO uses one non-hydrolysis aging pure rice sake, which is brewed by Naka-Shuzo in Naka-Cho, Tokushima, and lay about three to four years. 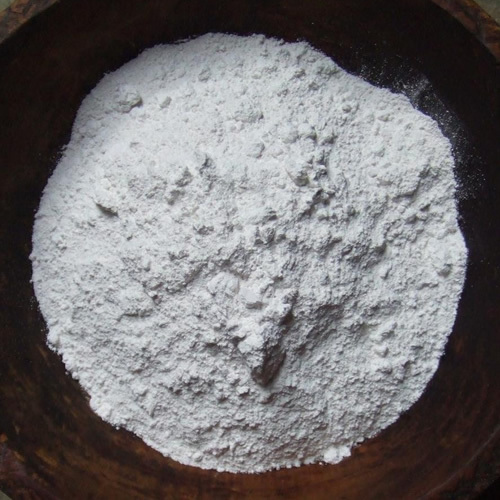 Shell lime is mainly used for pH adjustment and to develop the friendly environment.to the bacteria’s activity. Because it’s not produced in Tokushima, we order the same shell lime, which is used in the plaster of Himeji Castle from outside the prefecture. Fabric is indispensable to the people’s life and could be found ones that have been nurtured with nature and culture in each land. ISSO purchases fabric from Japan and abroad by ourselves or asking professionals to find. 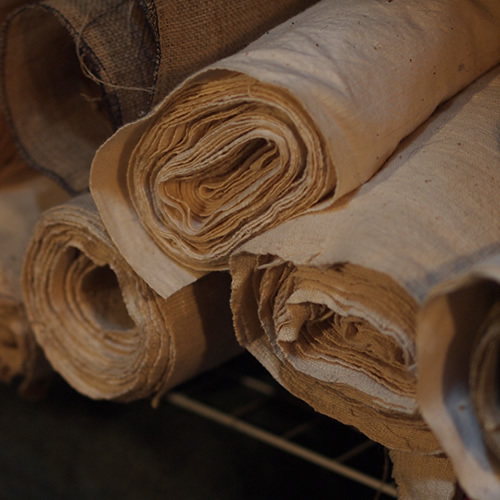 Each kind of fabrics is used considering the character of products how it should be worked. 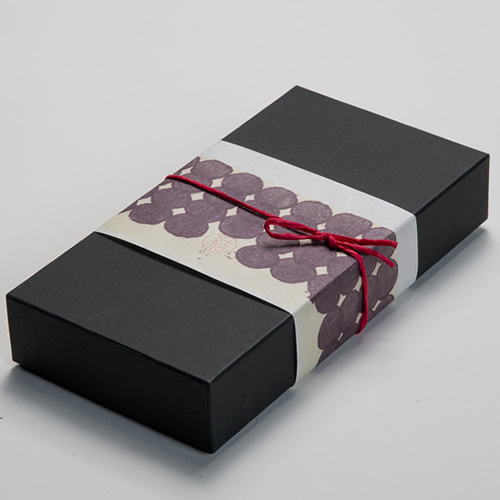 Our standard package is a handmade black-papered box, called Hari-Bako, with the wrapping paper, which is printed the motif of Teita Paper in Edo Period. The coordinator is Katsuko Tachibana, a designer in Tokushima, and the papered box is made by Hiraoka Shiki in Ishii-Cho, also Tokushima.